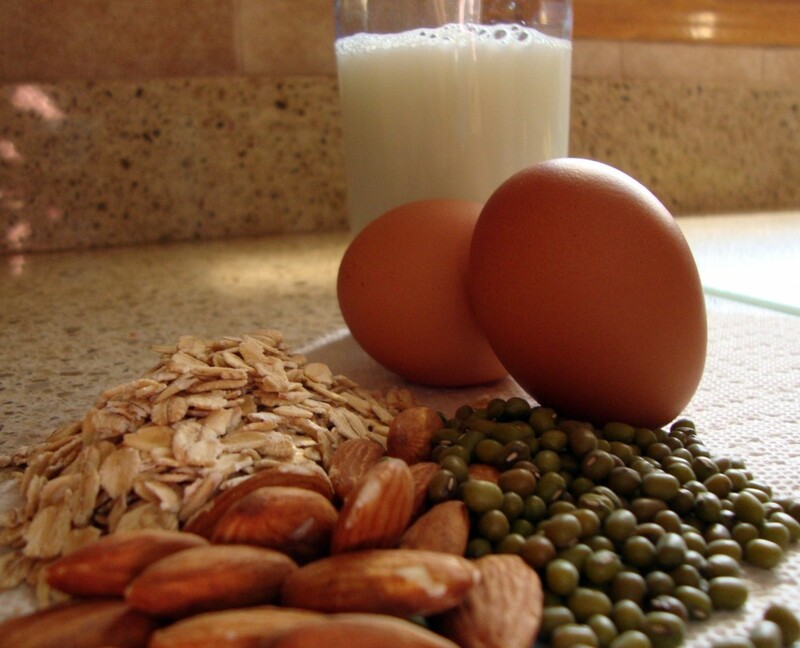 Protein is made up of essential and non – essential amino acids. A chain of amino acids is called a polypeptide. The human body can make the non – essential amino acids, whereas the essential amino acids must be ingested through food. Protein is found in food, and is most highly concentrated in animal sources than other sources. It is digested by the human body, and broken down into its amino acid components, beginning in the stomach. An enzyme disassembles the protein polypeptide chains into smaller components, which are broken down again and again in order to facilitate the digestion process. Once the protein has been broken down sufficiently, it can be absorbed and stored for the body to use. Protein can be inefficiently used as energy by converting amino acids to glucose, but it is primarily used by the body to build and repair tissues. If too much protein is taken in, the excess may be stored as fat. How much protein should an individual eat? Are protein supplements necessary? Much hype exists about protein and its importance. “Mix one part fact with several parts ignorance; season with advertising, sprinkle on a need for that all-important competitive edge, and you have a recipe for protein supplements”. This statement generally reflects what physicians and well educated authorities on diet and sports medicine believe. Most Americans consume a 12% protein diet and most body builders a 25% to 30% protein diet. Many athletes commonly believe that they must take in more protein than the recommended intake. The health industry recognizes this, and thus a plethora of fitness magazines and health food stores boast advertisements for protein supplements and amino acids. These advertising campaigns suggest that protein supplements and amino acids are perhaps a legal, healthy, substitute for anabolic steroids. The fact is that gargantuan amounts of protein intake is not going make a world class athlete; training builds endurance and muscle, not protein alone. The average sedentary adult needs to consume only 30 to 60 grams of dietary protein per day to replace amino acids used by the body. It is true that as an athlete exercises, more amino acids and protein are used by the body than a sedentary person, thus the need for dietary protein may increase. However, one must keep in mind that protein contains calories, and any excess calories that are not burned are stored as fat, and protein is an inefficient source of energy for the body to use. What evidence is there to support or disprove claims that high intake levels of protein help build muscle mass and better athletes? Muscles are made mostly of protein, so logically one would think that the more protein in the diet, the more muscle one should have. Certain types of exercise, weight lifting for example, do stimulate muscle growth. So, a combination of weight training and large amounts (the more, the better) should be beneficial, right? Not exactly. The most recent indications are that dietary protein in excess of the current recommended dietary allowance (0.8 grams of protein per kilogram of body weight per day) is likely needed for optimal muscle growth. “The current recommended dietary allowance doesn’t seem to be enough for elite athletes who are training every day, who are growing, or who are training especially hard right before an event”- However, the benefit appears to plateau at intakes well below the levels typically consumed by many athletes. Thus, for best results, a diet high in protein is beneficial for muscle growth, but only to an extent. Once a certain intake level is reached, any additional protein taken in will not help build muscle mass any more. A study done by Fern et. al (1991) showed that greater gains in body mass occur over four weeks of heavy weight training when young men consumed 3.3 versus 1.3 grams if protein per kilogram of body mass. In addition a study done by Meredith et al. (1992) found that a daily dietary supplement containing 23 grams of protein combined with weight training can enhance muscle mass gains relative to similar subjects who trained with out the supplement. Both of the studies show support for the belief that increased protein in the diet can help increase muscle mass, but it should be noted that these effects were found with a combination of intake and training. These two studies further indicated that a protein intake of about 1.7 – 1.8 grams of protein per kilogram of body weight per day, when combined with weight training will enhance muscle development compared with similar training with an intake of 0.8 grams of protein per kilogram of body weight per day- However, it is important to note that there is little good evidence that the very high protein intakes (more than 2 grams per kilogram of body weight per day) typically consumed by strength athletes are beneficial. Moreover, it is possible to obtain this quantity of protein without special supplementation assuming a mixed diet containing sufficient energy is consumed. Endurance athletes differ from strength training athletes because they do not develop the muscle mass that weight training athletes do. Endurance athletes, nevertheless can benefit from protein intakes over the recommended dietary allowance because the exercise they participate in does still alter protein metabolism, in a different way. In weight training glucose is used for energy and because weight training is intense, fat and protein cannot be use for energy production. The protein intake increase for strength athletes is to supplement and help tissue and muscle rebuilding, after the exercise. Because endurance athletes exercise for long periods of time, (2 – 5 hours at a time) they can use protein as a source of 5% – 10% of their total energy expended. This protein needs to be replaced as well as protein that is used for tissue repair, thus an elevated level of intake can be beneficial. The same applies to endurance athletes as strength training athletes – a point exists at which any more protein taken in is no longer beneficial. A common misconception about excess protein in the diet is that it can cause kidney damage; excess protein cannot cause kidney damage even though it does make the kidneys work harder. When protein is metabolized nitrogen is a by – product; the kidneys work to remove the extra nitrogen from the body. As of yet, no studies have found an high rate of kidney problems in strength athletes as would be expected if too much protein caused kidney damage. Also, Zaragoza et al. (1987) studied animals with very high protein intakes for more than half their life span and found no serious adverse effects. High intake levels of protein can lead to increased water loss because the body excretes water to dispose of urea, a substance formed in the breakdown of protein. Water loss coupled with the fact that most athletes loose a great amount of water through sweat, can lead to dehydration if fluid intake is not properly monitored. An excess of purified protein can, however, take calcium away from bones, thus predisposing one for osteoporosis. Although protein is seldom used as an energy source, and despite the fact that the average American diet far exceeds the recommended daily allowance for protein, many athletes still believe that supplementary protein can enhance athletic performance. Athletes do need additional calories for energy, but too much protein intake will be stored as fat. Most protein supplements provide a lot of calories as well as protein. 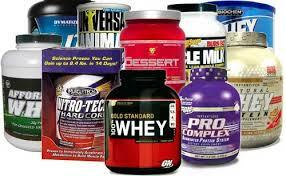 A balanced diet can easily provide enough protein for an athlete, and protein supplements are not necessary. Again, the average athlete cannot be turned into a champion simply by altering their diet or specific nutrient intakes. The most important determinant of athletic prowess is something over which we exert no control: our genes. Most experts rank physical training next; good nutrition comes in third. Of special importance to remember is the fact that enough protein to meet needs can be obtained from a balanced diet and the fact that a protein intake of more than the recommended dietary allowance can only be potentially beneficial (to an extent) for elite athletes.